A tiny but very pretty museum about the history of perfumery. 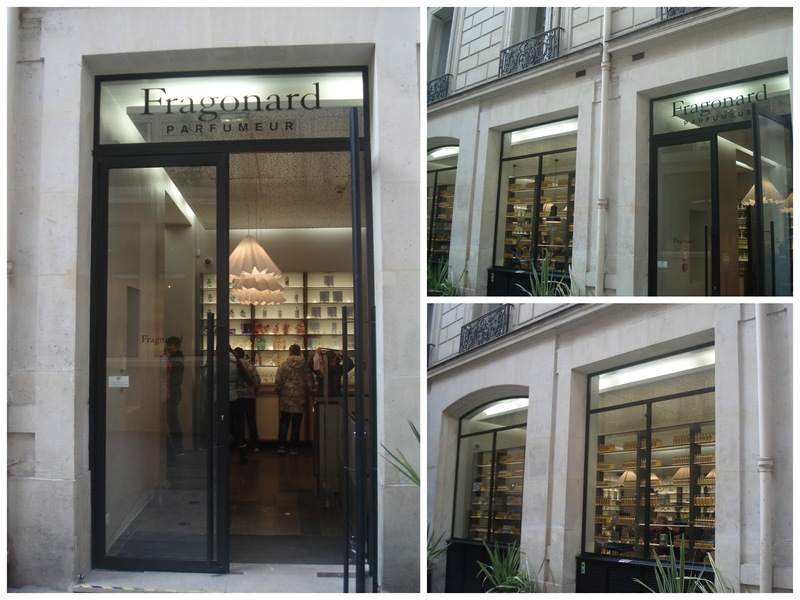 I'd come across the Fragonard perfume museum a few times when researching free museums in Paris considered suitable for kids, and since the weather was pleasant enough on Monday I decided to take T into town for the afternoon. We strolled down Boulevard Haussmann, where we especially liked the look of Printemps in the sunlight, and took in some other sites on the way to rue Scribe. 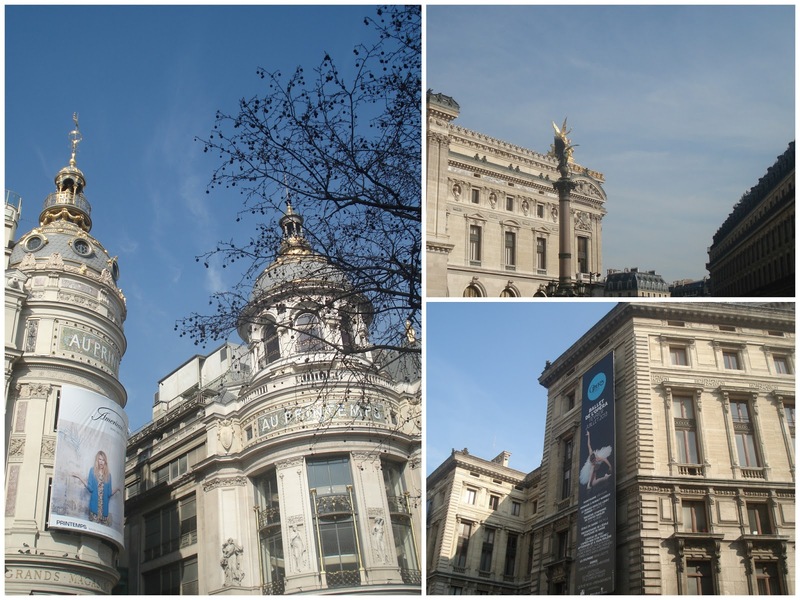 The museum itself is based in a Second Empire town house, very close to Palais Garnier. When we arrived, the anteroom was crowded with a group of 30 or so waiting for their tour. Following the example of other individual visitors, I squeezed my way through to the reception desk; they gave us a pamphlet and let us head up to the museum on our own. The museum staff was very helpful and kind - e.g. they gave T a little tour sticker though she wasn't part of a tour. The museum space, on the first floor of the building, stretches across three rooms (no photography permitted). The exhibit includes old-fashioned distillation and other perfume manufacturing equipment; perfume bottles through the ages; and a scent room where visitors can identify different fragrances. T wasn't the only little visitor, but she's definitely too small to get anything out of the experience - and a guided tour would have bored her to tears. Thanks to Patrick Süskind's Perfume (which I didn't actually enjoy very much), I have a rudimentary understanding of the perfume-making process and could give T a basic explanation of what the equipment was used for - but all in all, she wasn't intrigued. The last part of the museum experience is the Fragonard store, which is appealing both in decor and layout - but since I can't wear perfume (migraines), we didn't linger. Overall, the museum is probably a better fit for visitors without kids (or with relatively mature ones) who are more interested in, and actually able to use, perfume - and / or for anyone looking for "typically French" gifts that are more original than little Eiffel Towers.